54% of Americans over the age of 18 drink coffee every day. Why is this beverage so popular and is it healthy? Here are some reasons to continue to have a cup of JOE. 25.8 million children and adults in the United States(About 8.3% of the population) have diabetes. In a recent study conducted by the Harvard school of public health subjects who drank more than six cups of caffeinated coffee per day reduced their risk for type 2 diabetes by more than 50 percent compared to men in the study who didn’t drink coffee. In 2009, a study published in the Archives of Internal Medicine reported that people who drank the most coffee seemed to have the lowest risk of developing type 2 diabetes. That study reported that with each cup of coffee consumed daily, the risk of type 2 diabetes dropped by 7 percent. Be aware that a sugar-filled, flavored coffee can up calorie count and might actually slow down your metabolism (thanks to the sugar), shich seems a bit counterproductive. 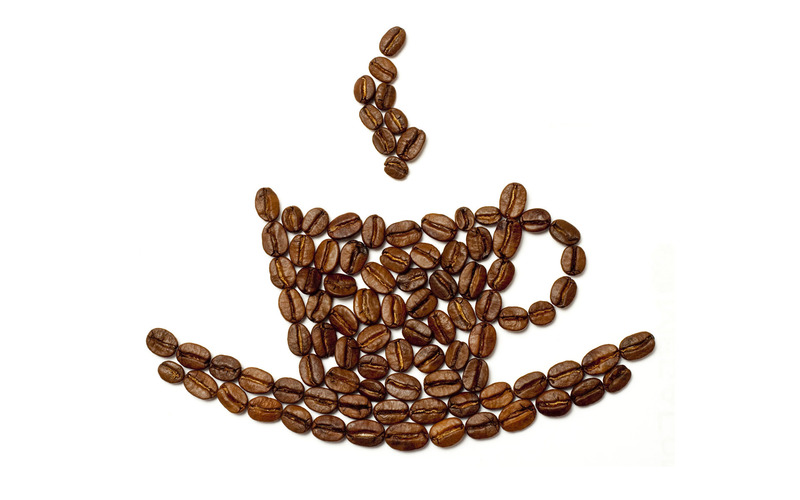 Caffeine increases the level of circulating fatty acids. This has been shown to increase the oxidation of these fuels, hence enhancing fat oxidation. Caffeine has been used for years by runners and endurance people to enhance fatty acid metabolism. It’s particularly effective in those who are not habitual users. Caffeine is the most versatile and effective ergogenic aid (i.e. something that enhances exercise performance). 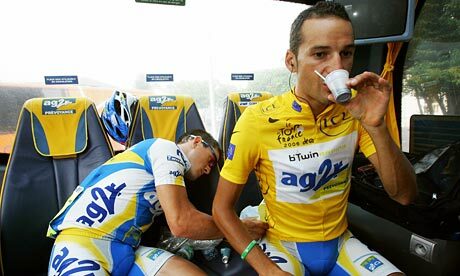 A prominent exercise physiologist, David Costill, Ph.D., performed the ground-breaking study on caffeine and exercise 26 years ago.He took nine competitive cyclists (two females and seven males) and had them bike until exhaustion at 80% of V02 max. (Note: V02 max, also known as maximal oxygen uptake, is a measure of how well your cardiopulmonary system functions). Caffeine, which helps muscles use fatty acids for energy and blunts the effect of adenosine, can extend the time before muscles fatigue. Coffee contains a significant amount of caffeine, a widely used central nervous stimulant. Our brain is the first organ affected by caffeine, where it interferes with the action of the neurotransmitter adenosine. Adenosine has a calming effect on the brain, so the result of its interaction with caffeine is increased alertness and wakefulness. Caffeine affects the adrenal glands, stimulating the release of two adrenal hormones, cortisol and adrenaline — also known as hydrocortisone and epinephrine. These two hormones act to increase alertness and awareness. As you can tell, most of coffee’s benefits come in the form of antioxidants and its number one ingredient, caffeine. I have always been a proponent of eating and drinking things in their most natural state. That is why I will always suggest or recommend black coffee over a caffeine supplement such as an energy drink, energy shot, or energy powder. With little to no research about the energy drink market and their side effects, ( especially the long-term health effects) your best bet is to stick with coffee. I never used to be an early riser. Ever since I started drinking coffee about 3 year ago I have found it much easier to get out of bed knowing I am going to have a great breakfast followed by a cup of coffee. Beyond the health benefits, coffee gives people something to look forward to on those cold rainy mornings. 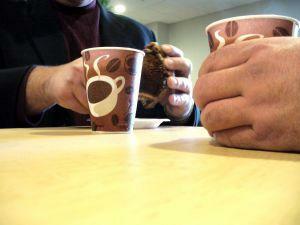 There is also the social aspect of coffee drinking that is added bonus. With the prevalence of phones, internet, and TV, having a cup of coffee with a friend, family, or stranger gives you a chance to put your technology dominated life on hold and have a good ole fashioned conversation over a healthy beverage. Thanks for reading and let me know if you have any comments or questions. High Reps vs Low Reps: Which is Better? The concept is Simple: High Reps should be performed to tone and lose fat and Low reps to build muscle and bulk up right? Not so fast. New research and studies have shown that both men and women can benefit from doing High reps/Light weight and Low reps/Heavy weight. The key is fatigue. My blog and the rest of this article can be found on http://www.builtlean.com. Here me and Builtlean Owner Marc Perry teamed up to write a great article this week. Check it out at http://www.builtlean.com/2012/07/19/high-reps-vs-low-reps/. Although a growing trend, this training technique is nothing new. There are many pictures from the ‘70s of Arnold Schwarzenegger and his buddies training barefoot. Not only a more natural way to train, going barefoot or minimalist provides some very real performance advantages.Bunions, corns, hammer toes, Achilles shortening, athlete’s foot, and ingrown nails are just some of the issues associated with training in shoes. The architecture of the hand and the foot are almost identical. So what would happen if you had incredibly weak hands? If you have incredibly weak hands then you can’t pick anything up and if you can’t pick anything up then the arms, back and legs can’t get strong – and it would be easy to see that if the arm isn’t strong then it’s also more susceptible to injury. It only seems right that the same principle applies to the foot. No Heel-The lift caused by the heel of a traditional shoe alters the body’s center of balance on its vertical axis. This shifts the weight slightly forward and as a result the body compensates by exaggerating the lumbar curve. Uneven Cushion-When weight is applied in the direction of gravity (such as in the case of squats) the foam compresses unevenly and inconsistently introducing an element of instability into the lift. This can lead to less weight per lift. As the lifter attempts to move the weight against the pull of gravity (as in the case of a deadlift) the compression of the cushioning fails to transfer all of the lifters energy to the ground or lifting platform which robs the lifter of the full benefit of his or her efforts. Increased Balance And Posture-There is no substitute for the bare foot when it comes to improving posture. Proper posture leads to improved technique which allows you to lift more weight more efficiently and more safety. Yoga Like Benefits-One major difference can be seen in yoga class. The feet of those who have been performing yoga barefoot for a lifetime are different than those who may have just begun. Well-formed arches and un-cramped toes are often the results of barefoot training. No More Shin Splints– The subtly raised heel and the added arch support of the average training shoe change the natural mechanics of the foot. In short, time spent in a raised heel unnaturally tightens the calf muscle and lengthens the shin muscle. Calf cramps and shin splints are often directly caused by shortened calves and lengthened shins. Reduced Joint Pain– Artificially supported shoes can force unnatural pressure into the knees, spine, and even neck. One way to naturally strengthen the arch and shin, relax the calf, improve overall ankle stability, and promote proper muscle alignment is to train barefoot. Less Impact– “People who don’t wear shoes when they run have an astonishingly different strike.” “By landing on the middle or front of the foot, barefoot runners have almost no impact collision, much less than most shod runners generate when they heel-strike. The Shock Factor-Suddenly going barefoot or wearing a minimal shoe can be quite a shock to the foot and require a slow adaptation phase. Like anything exposing new movements and training regiments at full force can cause injury overuse. Why Fix What Isn’t Broken-If you have no problems and no pain, do you really need to change anything? Dirty And Unsafe Surfaces– Shoes can provide protection from glass, dirt, and other random debris that can cause foot damage. But lets be honest, if you drop a weight on your foot than you are going to be hurting either way. Blisters-Almost everyone who switches to a minimal shoe or starts going shoeless will find themselves battling blisters for the first few weeks until calluses are formed. It seems petty but strengthening your foot is an essential part of strengthening the entire lower limb. I think the hand analogy describes it best. What would happen if you had incredibly weak hands? If you have incredibly weak hands then you can’t pick anything up and if you can’t pick anything up then the arms, back and legs can’t get strong. It seems like the same principal should apply to the foot. That is why I am recommending that people give this a shot. I have always been an advocate of eating things as they are found in their natural state. I have the same ideas towards exercise. Whether it is choosing the treadmill over the elliptical, free weights over machines, or barefoot over shoes, always go with the most natural form of sutff. Start off by incorporating a few exercises and build up to an entire barefoot workout. If you are a germ freak and can bare the weird look of them, give Vibrams a shot http://www.vibramfivefingers.com/index.htm. Dehydration is your body’s enemy. It slows bodily functions and metabolism. Your metabolism will slow to conserve energy when you haven’t had enough water to drink, as your organs can’t and won’t function as efficiently. Scientifically speaking, drinking water has been proven to contribute to your body’s ability to burn calories. A high protein breakfast can boost the metabolic rate up to 30% for as long as 12 hours and provide lower insulin release, while assisting with food cravings. Aim for something high in protein, containing some complex carbohydrates, and healthy fats. In a recent study the average metabolic rate of people who drank caffeinated coffee increased 16 percent over that of those who drank decaf. Caffeine stimulates your central nervous system by increasing your heart rate and breathing which will raise your metabolism and burn more calories. Our bodies constantly burn calories, even when we’re doing nothing. This resting metabolic rate is much higher in people with more muscle. To add more muscle you need to lift weights and perform resistance training. Every pound of muscle uses about 6 calories a day just to sustain itself, while each pound of fat burns only 2 calories daily. After a bout of resistance training, muscles are activated all over your body, increasing your average daily metabolic rate. The brew contains a plant compound called ECGC, which promotes fat burning. In one study, people who consumed the equivalent of three to five cups a day for 12 weeks decreased their body weight by 4.6 percent. According to other studies, consuming two to four cups of green tea per day may torch an extra 50 calories by revving up your metabolism. Spicy foods contain chemical compounds that can kick the metabolism into a higher gear. It turns out capsaicin, the compound that gives chili peppers their mouth-searing quality, can also fire up your metabolism. Eating about one tablespoon of chopped red or green chilies boosts your body’s production of heat and the activity of your sympathetic nervous system. One study suggests spicy food can provide a temporary rise in metabolism of about 8% greater than a person’s typical metabolic rate. Eating more often really can help you lose weight and boost your metabolism. When you eat large meals with many hours in between, your metabolism slows down between meals. Having a small meal or snack every 3 to 4 hours keeps your metabolism cranking, so you burn more calories over the course of a day. Several studies have also shown that people who snack regularly eat less at meal time. These 7 suggestions can help promote an elevated metabolism which will allow you to burn more calories and help sustain a healthy lifestyle. While each one may only promote a slight increase in your metabolism, incorporating all of them into a daily routine will surely provide noticeable changes and benefits. Even those of you that are inherently lazy can force some cold water down in the morning or add some spice to your lunch and dinner. Give these a try and find out which ones work the best for you.